Every part of Vic Julian’s life has come together to set herself up for a successful career in construction. Before she became DPR’s first female superintendent, her work as an interpreter for the deaf and hard of hearing taught her to listen to the whole room and pay attention to many different styles of communication. Her natural talent for drafting and sketching helps her visually translate complex, technical concepts to her teams. And her past experience teaching helps her view everything through the lens of training and mentoring. Coming from three generations of carpenters–her grandfather was a founding member of Local 180 in Vallejo, and her father later became a member as well–Julian joined DPR in 2000 as a walk-on carpentry apprentice. Her technical expertise continued to develop and grow as she became a foreman, assistant superintendent and superintendent. She now specializes in managing ground-up construction and large corporate campuses across the Bay Area. Julian prides herself on never missing a schedule, even while remaining flexible to changes in scope. “To be a superintendent, you have to be comfortable speaking your mind while listening to others. You must be willing to stand by your decisions, because you are responsible not only for schedule, but cost, quality and safety. To do this, you earn people’s respect, and own who you are,” she said. During her first performance review as a foreman, her superintendent told her, “Stop calling yourself a carpenter; you are a builder." Soon after, she led the challenging build of a boiler plant at a biotech campus, something she had never built before. The steam and condensate required a 420-ft. bridge atop the campus ridgeline to reach the new build, as well as three massive boilers shipped in from New York. After its successful completion, Julian realized she could handle anything with her training–no matter how difficult it may seem. Since then, Julian has led technical, architecturally demanding projects, including ground-up corporate offices and higher education campuses. The more challenging they are, the better–she welcomes occupied buildings, hazmat removal, or anything else that comes her way. She loves “every piece” of building, just as construction provided the perfect confluence of every piece of her prior experience. She no longer wonders if she is a builder. 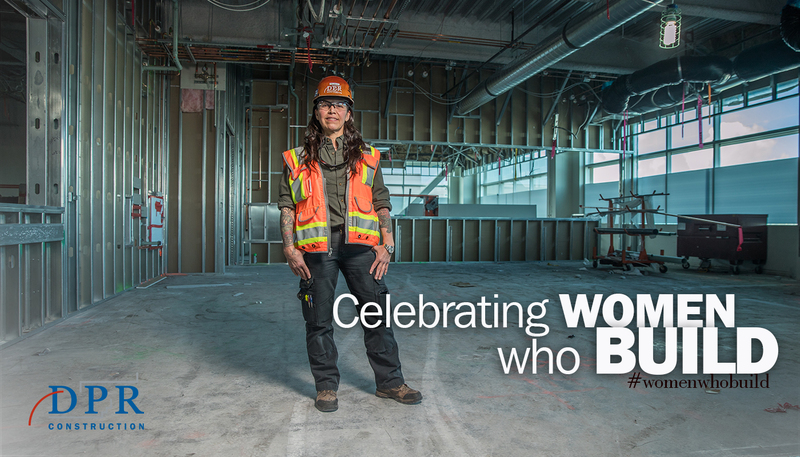 She is a builder, she can build anything, and she builds great things each and every day.